Angela Carter was born in Sussex in 1940 and read English at Bristol University. From 1976 to 1978 she was Arts Council of Great Britain Fellow in Creative Writing at Sheffield University and from 1980 to 1981 Visiting Professor in the writing program at Brown University, Providence, Rhode Island. She then travelled and taught widely in the USA and Australia. She was awarded the John Llewelyn Rhys Memorial Prize for The Magic Toyshop, the Somerset Maugham Award for Several Perceptions, the Cheltenham Festival of Literature Award for The Bloody Chamber and the James Tait Black Memorial Prize for Nights At The Circus. Her novels, all of which have received considerable critical acclaim, include Shadow Dance (1965), The Magic Toyshop (1967), Heroes And Villains (1969), Love (1971), The Infernal Desire Machines Of Dr Hoffman (1972), The Passion Of New Eve (1977), Nights At The Circus (1984), and Wise Children (1991). She also published three collections of short stories, The Bloody Chamber (1979), Fireworks (1984), and Black Venus (1985), and two works of non-fiction, The Sadeian Women: An Exercise In Cultural History and Nothing Sacred: Selected Writings, translated the fairy tales of Charles Perrault, and edited collections of fairy and folk tales as well as Wayward Girls And Wicked Women: An Anthology Of Subversive Stories (1986). She wrote the screenplay for A Company Of Wolves, based on her own short story. 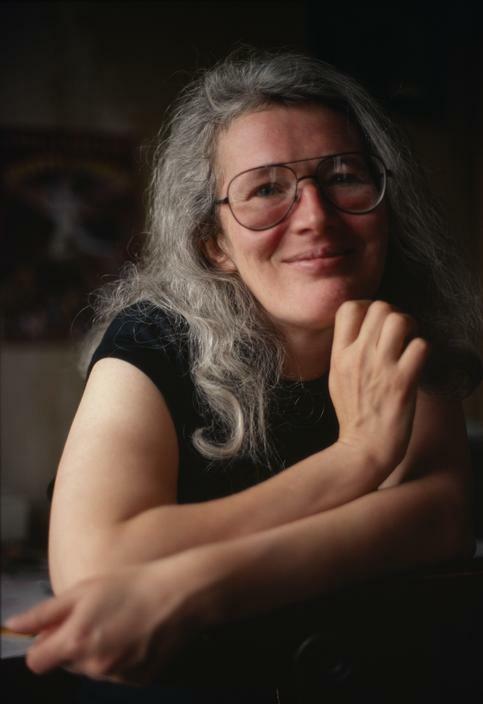 Married, with one son, Angela Carter died in February 1992. This website is aimed at the general reader. It contains information on her books, her publishers, how to contact the Estate as well as news about forthcoming reissues, other books and links to interviews and articles.